IMPORTANT: We hope you enjoy receiving our monthly newsletter, we love sending it to you! But with the GDPR (General Data Protection Regulation) coming into force on 25 May, we will be contacting you in May to ask you to confirm whether you still wish to receive it. If you wish you can unsubscribe now, at the bottom of this email, or at any time in the future. We shall be sad to see to go though! Special Feature - Olive Facts! 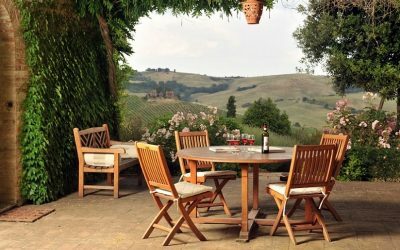 For many people looking to make a move to Italy, owning and nurturing an olive grove is a long-term dream. If you’re seeking a property with an established plantation, either as a hobby or as a larger scale producer, or if your wish is a place where you can create one from scratch, we can help. Click here for our Olive fact page and links to some of our beautiful properties with olive groves. 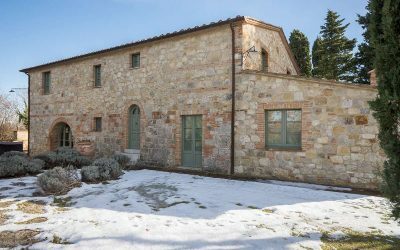 A beautiful converted stone barn with private pool in the Florentine hills, with 3 bedrooms, 3 bathrooms, a loggia and wonderful views. 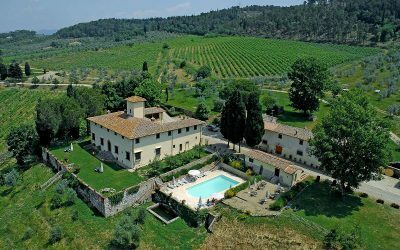 Magnificent Chianti estate with villa, wine cellars, annex with 6 apartments, pool and 6 ha of olives and vines. 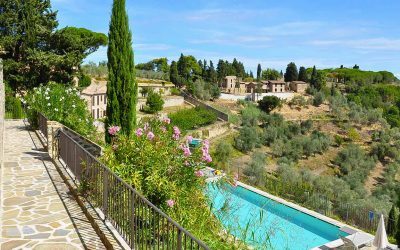 In a superb panoramic location, lovely 3-4 bedroom stone house with 1 hectare of fenced grounds with a pool and 160 olive trees . 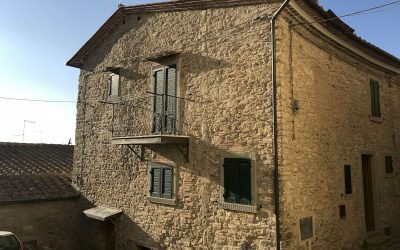 In the charming medieval village of Montisi, recently restored 1-2 bedroom village house with an elegant interior full of original features. 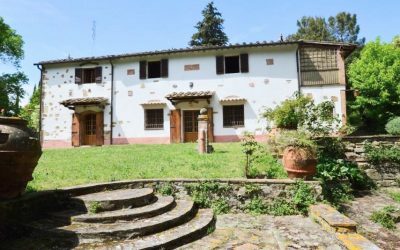 16th century, 2-3 bedroom house in a village with a restaurant near Bagni di Lucca. Garden, courtyard and panoramic terrace. 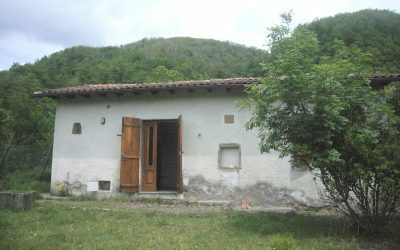 A farmhouse with 2 outbuildings, just 2km from Montaione. 3 hectares of land. A pool is possible. 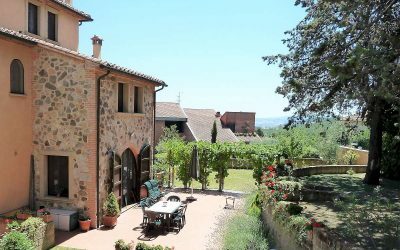 In a traditional medieval hill top village, restored 2 bedroom house with a private courtyard garden and great views. 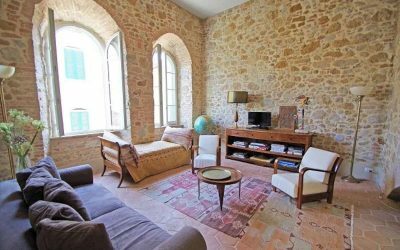 Just 3km from San Gimignano, 5 bedroom former brick furnace, with a stunning rustic interior. Habitable but In need of restoration. 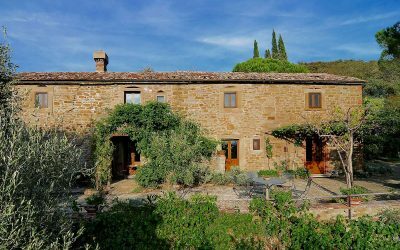 Charming 2 bedroom house with a garden located in a hamlet a few minutes from vibrant, historic Pienza in the Val d'Orcia. 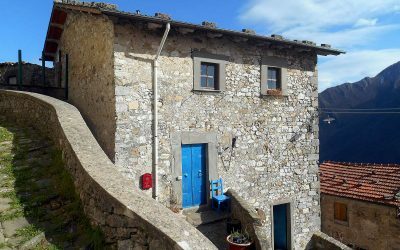 In the medieval village of Orciatico, 3 bedroom, 3 storey house on a small complex. Private garden, parking and shared pool. 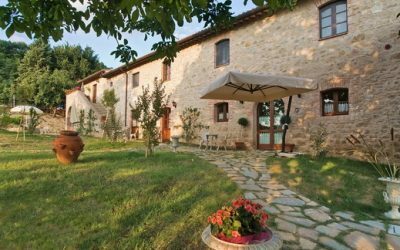 With views over the Crete Senesi, restored farmhouse and annex, divided into 4 apartments, with large garden and pool. The perfect hilltop Tuscan farmhouse with beautiful rustic interior. 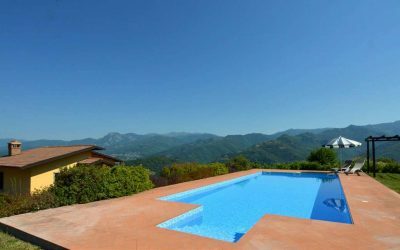 1.9 hectares of land, swimming pool, fantastic views . 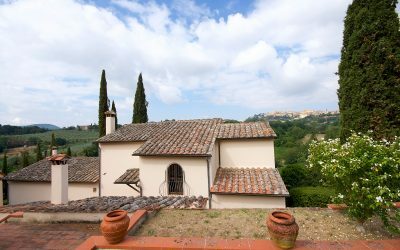 In a borgo with a restaurant near Castelfalfi and the famous golf course, airy 2 bedroom apartment with lovely views and shared pool . 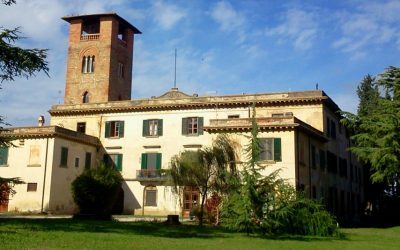 Restored, early 19th century farmhouse, divided into 2 apartments, with 1.2 hectares and a panoramic pool, near Buonconvento. 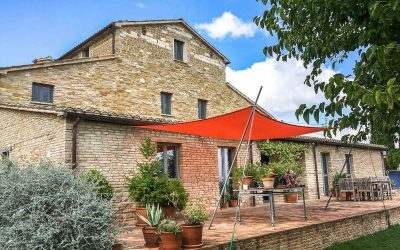 Close to a village with great restaurants, close to Montepulciano, 3 bedroom farmhouse with annex, garden, pool and stunning views. 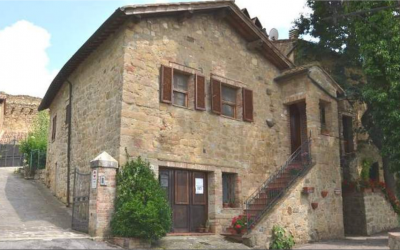 In the sought after centre of historic Cortona, 3 storey, 3 bedroom, semi detached house with balcony and outside space. 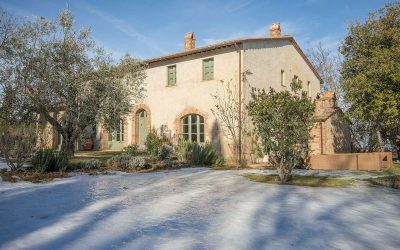 Elegantly restored 5 bedroom farmhouse with a lovely interior, a pool and 3 hectares of land located on the slopes of Mount Cetona. 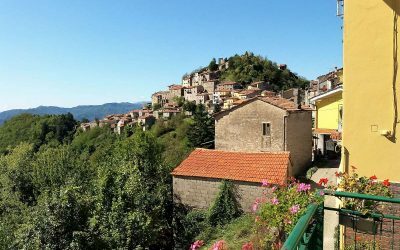 Characterful 3 bedroom, third storey apartment with terrace and views, located in the centre of Pescia. Furniture included . 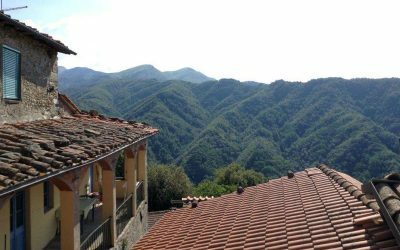 Restored 2 bedroom house with a lovely panoramic terrace and garden in the hills near Bagni di Lucca. 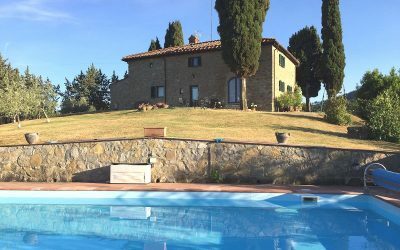 In the countryside near Barga, stunning, architect restored, 3-4 bedroom farmhouse and barns with a wonderful interior and a pool. 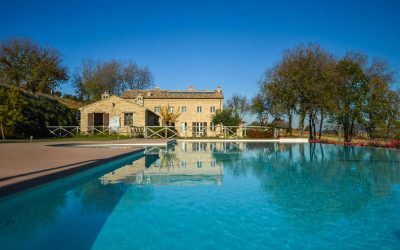 Near Mount Cetona, 3km from amenities, beautifully restored 6 bedroom farmhouse with pool and 13.5 hectares. 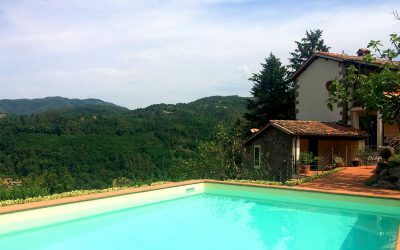 With views of the mountains and the Garfagnana valley, new build, 4 bedroom house with a 1 bedroom apartment and pool. 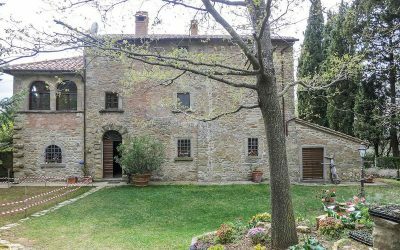 5 bedroom stone villa with 1 bedroom annex, cellars, private chapel and 8 ha with vineyard and olive groves, just 1.5km from Cortona. 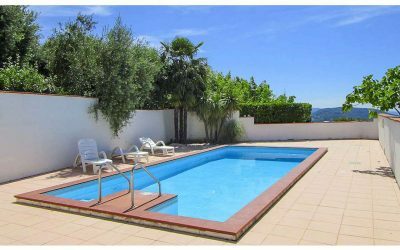 In the sought after coastal area near Monte Argentario, luxury 9 bedroom villa with magnificent pool and 4 hectares of land. 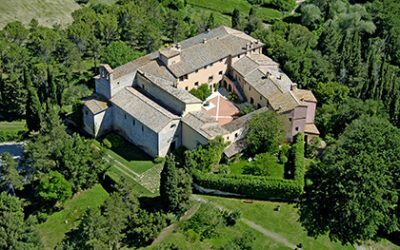 In Northern Marche, stunning 12th century monastery, restored to create 5 stylish apartments with a chapel and pool. Surrounded by vineyards, 10 km from coast, wonderful 6 bedroom villa with 2 guest annexes and a superb infinity pool. 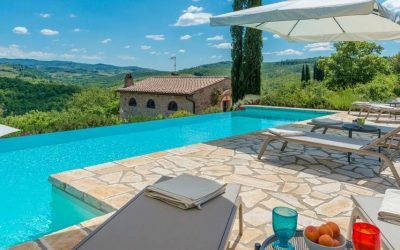 Val D'Orcia abbey estate with 850 hectares and 11 restored farmhouses with private pools, church, hunting reserve, stables and guest quarters. 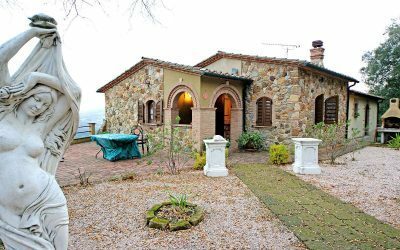 8km from famous Assisi, in a panoramic position on the hills, farmhouse of 652 sqm, surrounded by almost 5 hectares of land. 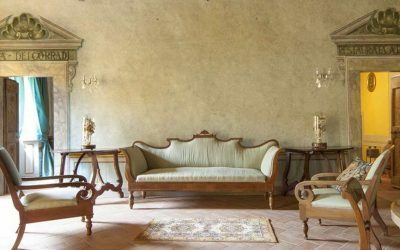 In a village 6km from Spoleto, amazing 17th century property of over 1,500 sqm full of beautiful original features and character. 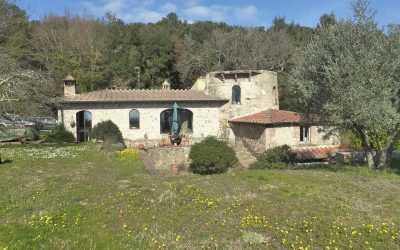 10 minutes from Cortona, lovely farmhouse dating from the 1700s with 8 hectares of olive groves, vines, woods and far reaching views. 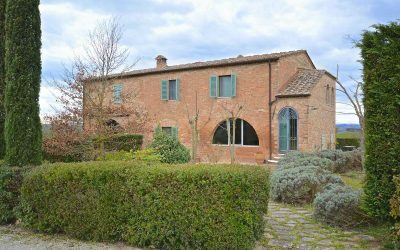 Near Asciano, Siena and Montepulciano, restored attached house with studio apartment, 2 hectares of gated land and a panoramic pool. 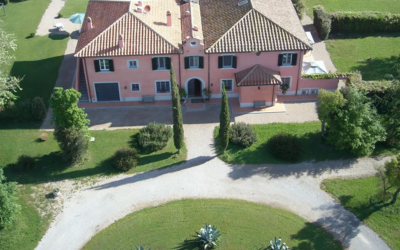 4 km from Trevi, beautiful independent part of a period villa with 5 bedrooms, 5 bathrooms, garden, annex and a wonderful interior. 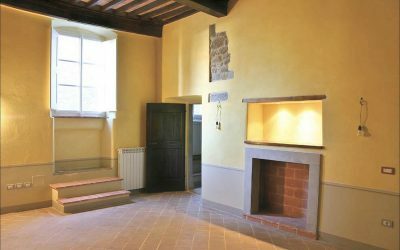 A beautiful apartment in ancient palazzo in the centre of Cortona, restored. Close to shops, restaurants and services. 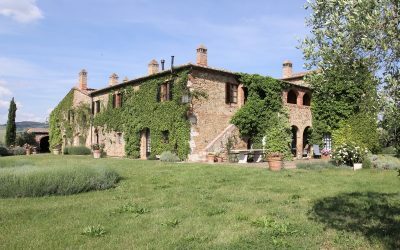 Montepulciano Villa of 384 sqm. with garden and spectacular views of the famous town, just 2 km away. 6 bedrooms. 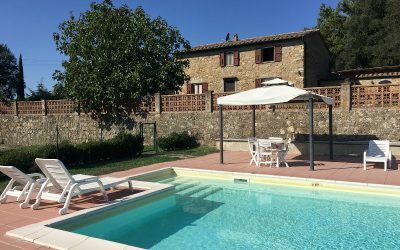 Restored Chianti farmhouse with swimming pool. 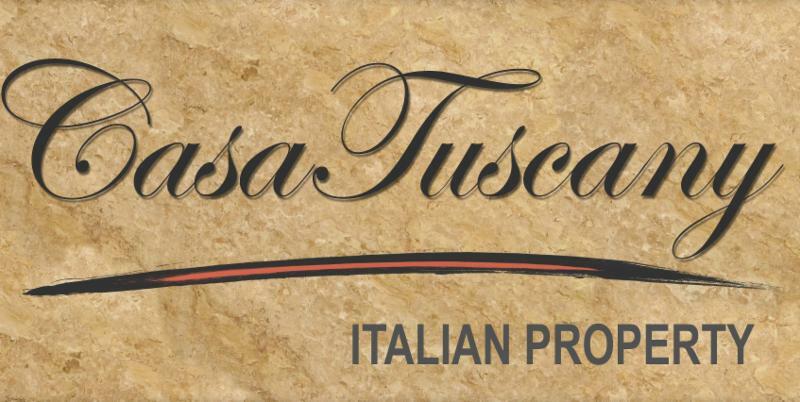 Land of approx 8,000 sqm (almost 2 acres) with olive groves. In a great location, this detached house can be extended by 20% and a pool installed. 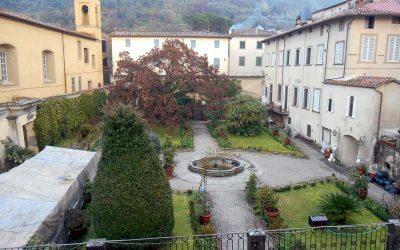 In the beautiful Chianti hills, 30km from Florence, a first floor apartment within a wonderful historic villa with private garden. 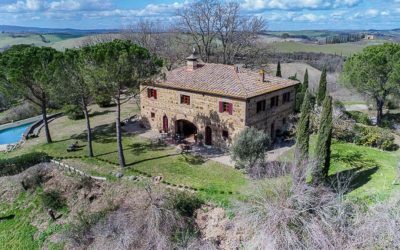 4km from a village and 18km from the sea, a traditional Tuscan house with 15 hectares of land with a pool, olives and woodland.